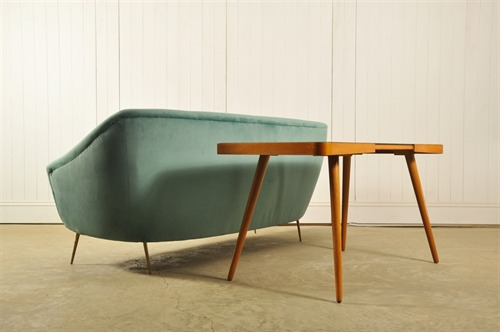 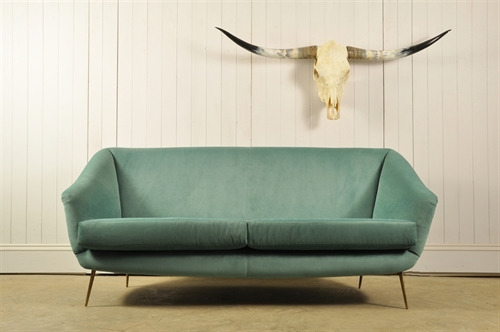 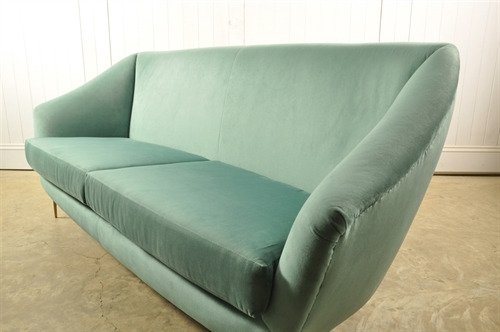 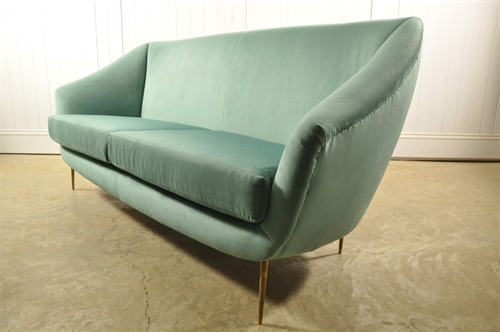 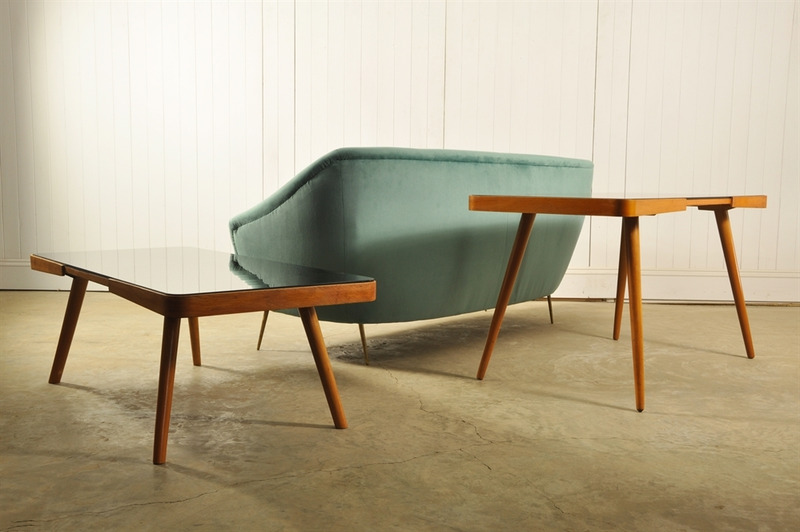 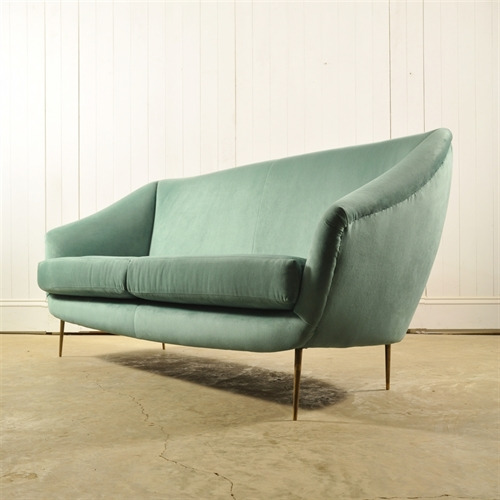 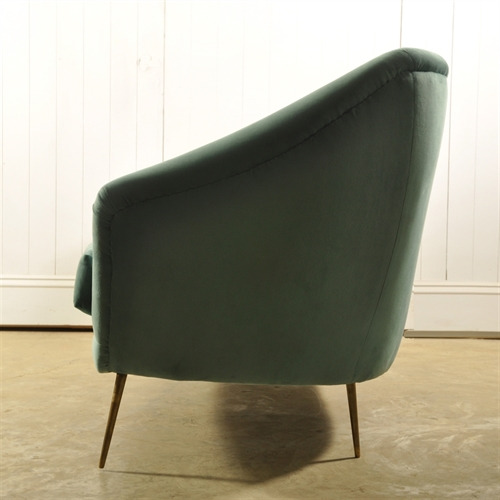 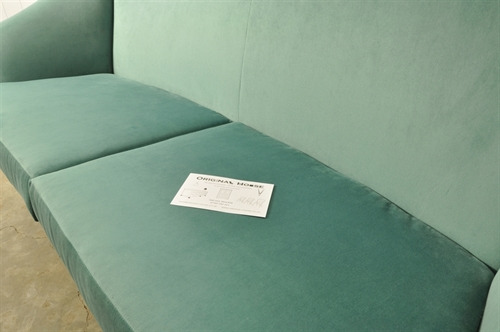 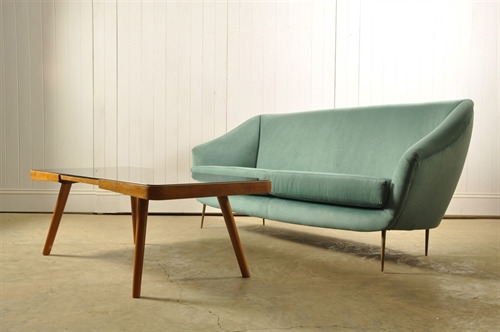 Circa 1950's this fantastic Italian sofa has been re-upholstered in a turquoise velvet. 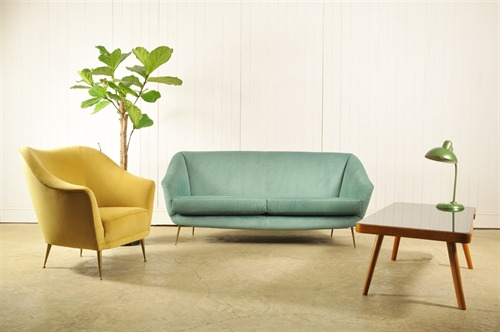 A really classic mid century shape and a fun stylish piece to inject some colour into any interior space. Original brass legs which retain some of their patina - all in all in good structural and solid condition.